Skin lightening is not the easiest process. You use soaps, creams, maybe even lasers and avoid the sun like you owe it money. It's a lot of effort. So the last thing you want to do is do all the work to get several shades lighter and then mess it all up with a simple mistake, right? Of course not. You want permanent skin lightening. So how do you do that? While a myriad of skin lightening products can promise immediate or even long term effects, not a lot can assure you that the effects will be permanent. If you want to permanently maintain your results, you're going to have to do it yourself. And it's not too hard at all. The trick to prolong the effect of all those skin whitening treatments can be from a very simple staple: sunscreen. An ounce of prevention is truly worth more than a pound of cure. The biggest culprit for pesky hyper pigmentation and dark spots is prolonged sun exposure. While the effects of sun exposure are very hard to reverse, it is easy enough to simply slather on sunscreen and protect yourself from the damage in the first place! Protection is extra important now more than ever because global warming has caused the sun rays that penetrate the ozone to be much harsher. At the same time, your advanced skin care routine might also put you at an additional risk. These days it’s not enough to have a dependable roster of generic skincare products, each product must have active ingredients and all sorts of special effects to make sure it deserves a place in your vanity. While the discovery of new active ingredients is great in terms of widening product choices, consumers have to be wary about the side effects as well. One of the most common side effects is increasing sun sensitivity. It is sometimes counter intuitive how a bevy of skincare products that promise skin whitening actually makes you extra sensitive to sun, which can cause darkening. Some skincare ingredients to look out for that cause sun sensitivity are Alpha and Beta Hydroxy acids which are present in a bevy of cleansers and serums as a chemical exfoliant, Accutane and Benzoyle peroxide, both popular acne treatments, and almost all forms of topical Vitamin A such as Retinol, Tretinoin and Retinyl Palmitate. If you’re into natural and organic skincare, don’t think that you’re safe either. Using citrus fruit extracts or citrus oils such as orange, lemon and bergamot can also increase your skin’s sun sun sensitivity. Other seemingly innocuous ingredients such as almond extract, witch hazel, peppermint and even papaya can also cause the same effects. I’m not telling you to toss out hundreds of dollars worth of products because they make you more sun-sensitive, but only that you have to be extra cautious when it comes to sun exposure. The fact that you use products that contain the active ingredients mentioned above already makes your skin more susceptible to sun damage, so it is extra important that you include a strong sunscreen in your daily routine. What exactly does sunscreen protect you from? Simply put, our skin is constantly under attack from the sun’s rays, namely UVB and UVA. Both enemies have different effects, let's break them down below. UVB radiation is responsible for the immediate effects caused by sun exposure, red swollen sunburns, painful peeling, you can blame UVB for that. This is the sun your parents warned you about when they tell you not to be under the sun from 10am - 4pm, the B in UVB might as well stand for burning. It’s the type of sun that feels extra prickly on summer days or in more tropical places with higher elevation. It’s high energy, and is only partially blocked by clouds, so it is important to wear sunscreen even on overcast days. The thinning state of the ozone layer means that more and more UVB rays will penetrate our atmosphere, so make sure you are well protected. In comparison, UVA radiation seems like the tamer kind, but don’t be fooled, while UVA does not cause the same kind of painful effects immediately, it actually seeps deeper into your skin. In fact, 95% of UV radiation that humans are exposed to are UVA rays, and we are hardly aware of it. This type of radiation penetrates glass windows and reflective surfaces, and is present all day, as long as the sun is up. It causes long term injuries such as premature aging, wrinkling, skin cancer, and permanent hyper pigmentation caused by skin cells reacting to sun exposure by producing more melanin because of daily exposure. We must be extra vigilant of UVA rays since we might not even be wary of exposure. Sunscreen is the best way to protect yourself from both types of radiation. As a general guideline, look for sunscreen with a Sun Protection Factor (SPF) of at least 15. However, it is always a safe bet to go for the higher SPF. While SPF 15 protect you from as much as 96% of the sun’s harmful rays, the tricky part comes with proper application. Most people just apply too little sunscreen and do not reapply often enough to get complete protection. With a higher SPF, you can be properly protected even if you slathered on a thinner coat. To make sure your sunscreen is working double time to protect you from both UVA and UVB rays, here are some ingredients you should watch out for. Some of the usual suspects for protecting against UVA are Avobenzone, Oxybenzone, Titanium Oxide or Zinc Ozide. When it comes to UVB protection, look for Octyl methoxycinnamate, octyl salicylate, and octocrylene. With more people waking up to the harmful effects of the sun, the skincare industry is responding by coming out with continuously improved formulations and innovations to make sunscreens more comfortable and have additional benefits. An interesting innovation is the development of whitening sunscreens which provide both protection and correction. Aside from the typical sunscreen ingredients, whitening sunscreens contain other compounds that work to slow down the body’s production of skin-darkening melanin, the main pigment of skin. 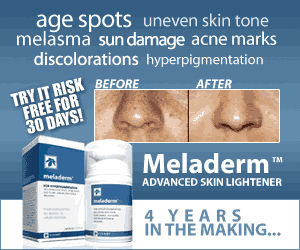 As production of melanin slows down, you will notice that skin will look lighter. The main thing that whitening sunscreen offers is convenience. If you’re the type to slather on a layer of whitening product before your sunscreen application, a whitening sunscreen offers to merge both these steps for convenience. Another convenient innovation is an antioxidant rich sunscreen. Antioxidants provide an additional barrier of protection against the sun and other outdoor pollutants by keeping free radicals from sticking to your skin and causing irritation and inflammation that might lead to skin darkening. Studies show that certain sunscreen ingredients such as Avobenzone and Octinoxate are predisposed to produce a certain amount of free radicals while blocking UV rays, so the antioxidants presents in sunscreen mitigate that effect. A recent study from the American Association of Dermatology concluded that “adding antioxidants to sunscreen is an innovative approach that could represent the next generation of sunscreens, which would not only filter UV radiation, but also offer other tangible skin health benefits.” The addition of antioxidants such as Vitamin C or E also have the added benefit of reducing skin inflammations arising from sun exposure. In terms of sunscreen formulation antioxidants provide additional benefits by making sunscreen more stable so it lasts longer on the skin and extends the protection that it gives to the skin, since most of us always forget to reapply sunscreen during the day, this is great news. With all the new innovations in the field of sun care, now is definitely the best time to pick a daily sunscreen for you, and to commit to using it daily. This isn't your average sunscreen - not only does it offer a whopping SPF of 50 and Pa+++ (which means that it protects you against UVA rays up to 8 times more than if you go out without protection), but it also whitens at the same time. That means you get all the prerequisite ingredients to protect against UVA and UVB rays plus M-Tranexamic acid, a proven ingredient for skin lightening. Oh, and did we mention it's also packing skin boosting ingredients like hyaluronic acid and collagen? It's also very lightweight, easily absorbed and wonderfully comfortable on your skin. It also has the added benefit of being sweat resistant so this means you don't have to reapply too often. It also has a noticeable effect on lightening hyper pigmentation caused by acne scars, so if you're a former acne sufferer looking for a multi-tasking sunscreen - this one is a winner. Want more whitening sunscreens? Rejoice, acne sufferers! Here's a good, strong sunscreen that won't break you out. Obagi's sunscreen goes on matte (read: absolutely no shine) and provides SPF 50, PA+++ protection without the pore-clogging, oily feeling that most sunscreens have. It's formulated for acne prone skin so you can rest assured that not only will you not break out - but it'll leave your skin looking and feeling fresher and cleaner. R﻿﻿ead what users have to say! Want to keep your skin lightening progress while engaging in water sports? You need a strong sunscreen that won't wash off no matter how sweaty and wet you get! Enter EltaMD's Sport Sunscreen. This stuff is like a second skin. It's SPF 50, offers broad spectrum protection and it holds up very well on the beach or in the water. It is a mineral sunscreen so it'll go on with a bit of a whitish cast but you can't beat it for all around, sweat-resistant protection. Plus, it's all-natural so if you're trying to avoid chemicals in your skin care - this one's a winner! Read user reviews!